The Mustang Week Staff would like to take this opportunity to thank all participants and our Sponsors for all they’ve done to help us make Mustang Week 2015 a monumental success. We realize that without participants and sponsorship there is no way that we would be able to continue hosting the largest annual Mustang event in the country. It is always exciting to see participants moving around the different venues, interacting with each other and leading industry sponsors. 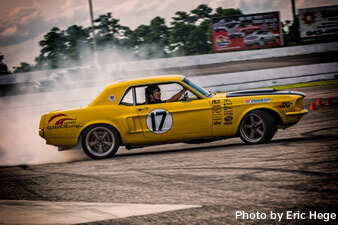 Mustang Week is different from any other event in the country. Mustang Week is not merely a show. If you attend all the scheduled events, you will see that Mustang Week is an “experience” that can be rivaled by no other weekend show. Where else can you combine a beach vacation with all kinds of driving events and shows? Only at Mustang Week! 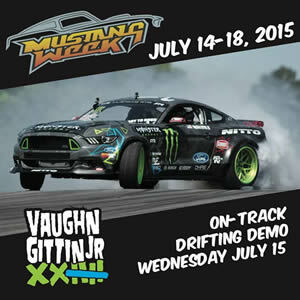 Working with Pro Dyno out of Fort Mill, South Carolina, Muscle Mustangs & Fast Fords is presenting the Battle at the Beach Dyno Shootout on July 16 at the Myrtle Beach Mall. Competition is limited to just twelve Mustangs, who will compete for the bragging rights on Pro Dyno’s mobile Dynojet chassis dyno. And while bragging rights alone for the title is great for the year, MM&FF will be there to showcase each car in the competition. Mustang Week participants, how would you like a free trip to SEMA this year? Register for the BFGoodrich “Are You Driver Enough Autocross School” and drive your way into a chance to go to SEMA as a guest of BFGoodrich Tires. Register for the Session 2 Class here. Class registration is first come first served. More details are coming soon. The 2015 Mustang Week Car Show has officially sold out. Yet again, the tickets went fast and this years show is shaping up to be yet another fantastic display of Mustangs. 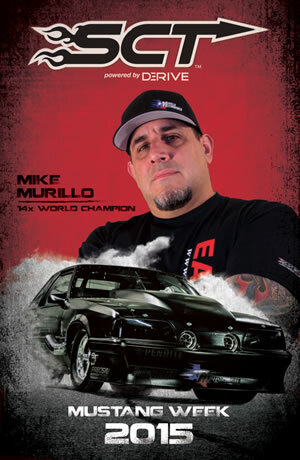 However, even if you didn’t get your car in the judged portion of the show, come on out on Friday and spectate for free! Don’t forget the week-long list of other events to attend. 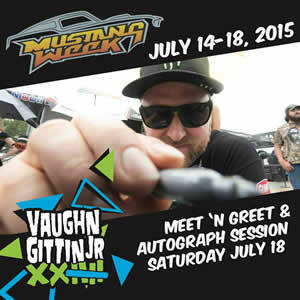 The Meet and Greet, Cruise-In, Dyno shootout, Drag night, Burn-out Contest… everything you could want in a week filled with your favorite cars! Information on the Autocross Driving School and Dyno Shoot-Out are coming soon! Even though 2014 Mustang Week has just past and most of y’all are just getting over your sunburns, everyone is anxious to come back. The dates for next year, 2015, have been officially announced. 2015 Mustang Week will be held on July 13-19, 2015. Better go ahead and put in for your vacation time now so you can be sure to join us next year. More details such as the event schedule, sponsor and hotel information will be coming later, usually around early spring. combine a beach vacation with all kinds of driving events and shows? Only at Mustang Week! Find out when all the events are happening at Mustang Week 2014 so you don’t miss out. If you have questions about an event or want to know details about what is happening each day, check out this page.